Anthony Mangona, Esq. joined Frekhtman & Associates in 2017. Anthony, is committed to fighting hard for his clients to obtain the monetary rewards they are owed after they experience life altering events such as serious car accidents, dog bites, construction accidents, medical malpractice, slip and fall accidents involving serious brain injuries, ceiling collapses, and many others. Anthony Mangona is committed to fighting hard for his clients to obtain the monetary rewards they are owed after they experience life altering events such as serious car accidents, dog bites, construction accidents, medical malpractice, slip and fall accidents involving serious brain injuries, ceiling collapses, and many others. Anthony has focused his skills and knowledge on litigating serious and catastrophic personal injury cases against some of the largest insurers in the industry. 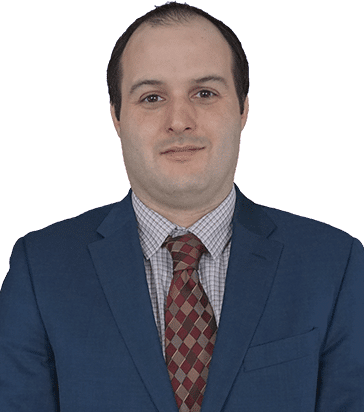 Anthony began his legal career with a focus on business transactions and formation, real estate matters, cooperative and condominium dispute resolution, contract negotiations and disputes, estate planning, elder law, medical malpractice, and various other complex litigation issues. Masters of Law in Insurance Law from Western Michigan, Thomas M. Cooley Law School.